This information was originally presented at the NCCN 21st Annual Conference: Advancing the Standard of Cancer Care™ held in Hollywood, Florida, from March 31 – April 2, 2016. This activity is designed to meet the educational needs of medical, surgical, and radiation oncologists; nurses; physician assistants; pharmacists; pathologists; and other healthcare professionals who manage patients with cancer. These activities are supported by educational grants from AstraZeneca; BTG; Celgene Corporation; Clovis Oncology; Genentech; Genomic Health, Inc.; Gilead Sciences, Medical Affairs; Lilly; Merrimack Pharmaceuticals, Inc.; Novartis Oncology; Pfizer; Pharmacyclics LLC, an AbbVie Company and Janssen Biotech, Inc., administered by Janssen Scientific Affairs, LLC; Taiho Oncology; Takeda Oncology; and TESARO. These activities are supported by educational funding provided by Amgen. These activities are supported by an independent medical education grant from Bristol-Myers Squibb. These activities are supported by independent educational grants from AbbVie; Astellas and Medivation, Inc.; Boehringer Ingelheim Pharmaceuticals, Inc.; Incyte; and Merck. All faculty and activity planners participating in NCCN continuing education activities are expected to disclose any relevant financial relationships with a commercial interest as defined by the ACCME’s, ANCC’s, and ACPE’s Standards for Commercial Support. All faculty presentations have been reviewed for adherence to the ACCME’s Criterion 7: The provider develops activities/educational interventions independent of commercial interests (SCS 1, 2, and 6) by experts on the topics. The ACCME/ANCC/ACPE defines “conflict of interest” as when an individual has an opportunity to affect CE content about products or services of a commercial interest with which he/she has a financial relationship. ACCME, ACPE, and ANCC focuses on financial relationships with commercial interests in the 12-month period preceding the time that the individual is being asked to assume a role controlling content of the CE activity. ACCME, ACPE, and ANCC have not set a minimal dollar amount for relationships to be significant. Inherent in any amount is the incentive to maintain or increase the value of the relationship. 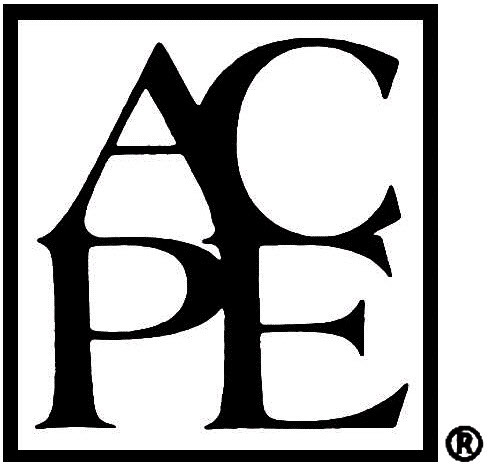 The ACCME, ACPE, and ANCC defines “’relevant’ financial relationships” as financial relationships in any amount occurring within the past 12 months that create a conflict of interest. All faculty for this continuing education activity are competent in the subject matter and qualified by experience, training, and/or preparation to the tasks and methods of delivery. Faculty presentations may include discussion of off-label use. Faculty will disclose that the use in question is not currently approved by the FDA per the product labeling. National Comprehensive Cancer Network (NCCN) is accredited by the Accreditation Council for Continuing Medical Education to provide continuing medical education to physicians. National Comprehensive Cancer Network designates this activity for a maximum of 1.0 AMA PRA Category 1 Credit™. Physicians should only claim credit commensurate with the extent of their participation in the activity. National Comprehensive Cancer Network (NCCN) is accredited as a provider of continuing nursing education by the American Nurses Credentialing Center’s (ANCC) Commission on Accreditation. NCCN designates this educational activity for a maximum of 0.89 contact hours. Accreditation as a provider refers to the recognition of educational activities only; accredited status does not imply endorsement by NCCN or ANCC of any commercial products discussed/displayed in conjunction with the educational activity. Kristina M. Gregory, RN, MSN, OCN, is our lead nurse planner for this educational activity. National Comprehensive Cancer Network is accredited by the Accreditation Council for Pharmacy Education as a provider of continuing pharmacy education. National Comprehensive Cancer Network designates this continuing education activity for 1.0 contact hour (0.1 CEUs) of continuing education credit in states that recognize ACPE accredited providers.